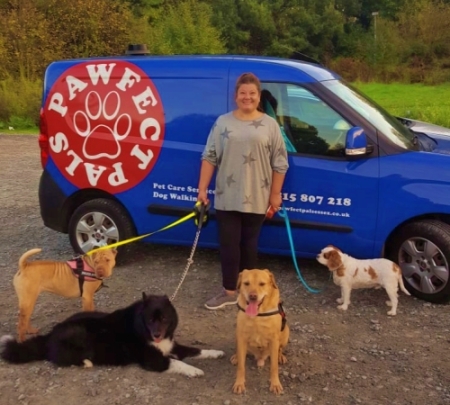 I'm Lara, the happy owner of Pawfect Pals Essex. After a long career as a Paramedic I set up my dog boarding, walking & pet feeding business in April 2016. I'm a qualified pet first aider and so is my partner Ian. Our home is vetted and licensed for dog boarding by Thurrock Council. Your dogs live with us in our comfy home, not in cages or kennels. I'm flexible with drop off times including early mornings. I use a secure & comfortable doggy van with safety cages & only accept vaccinated dogs. You are welcome to get in touch via my Facebook page, by email or give me a call any time. The links are at the top of the page.